A few weeks ago, we went out to Chapel Hill for dinner. 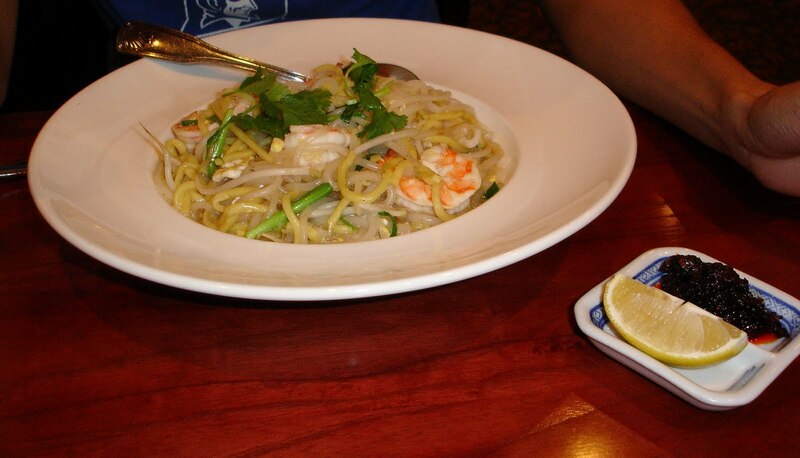 We went to Merlion, a Southeast Asian restaurant, which was recommended by a friend. 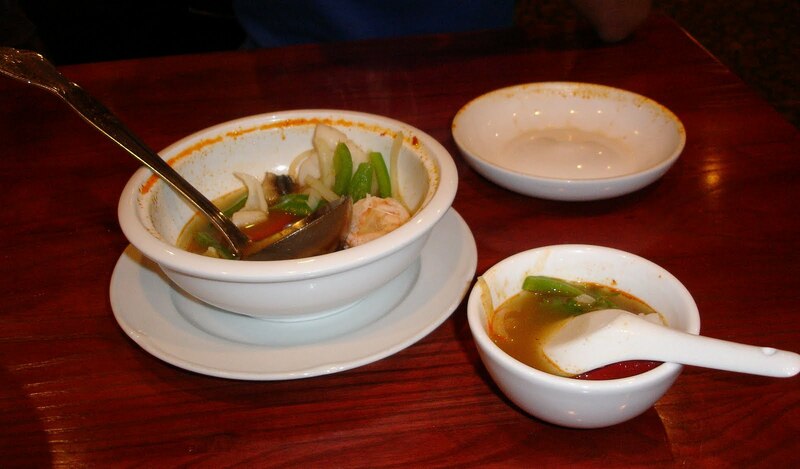 Two of my dining companions had a Tom Yum soup for a starter. I tried the broth, and it was very rich and full of flavor. I didn’t have any of the seafood, but they said it was nicely cooked. 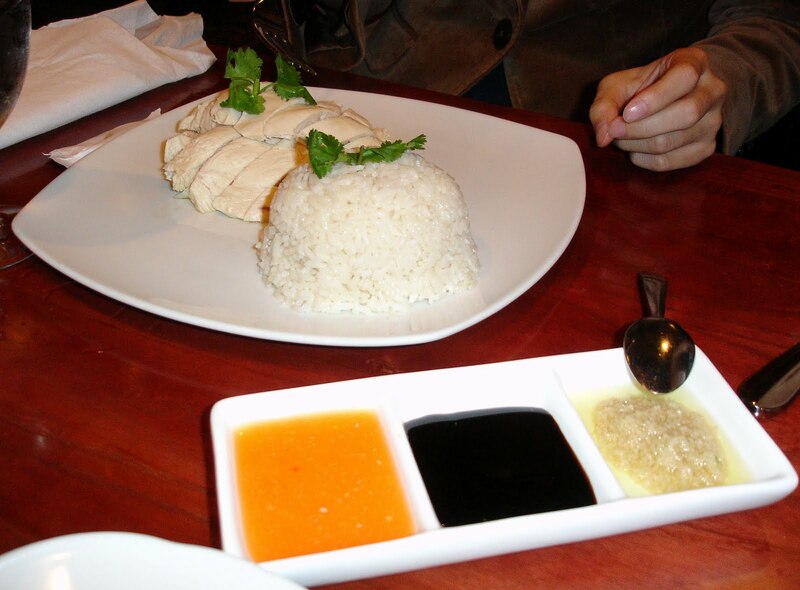 This dish was done very authentically because the rice itself was cooked with the chicken broth. The accompanying sauces were garlic sauce, some sort of soy sauce, and sweet & sour sauce. Overall a pretty great dish. It doesn’t look very impressive (actually, looks like just a messy pile of noodles and seafood), but the flavor was actually quite neat. Add some of the accompanying chili and lemon, and you have a lot of layers of flavor. 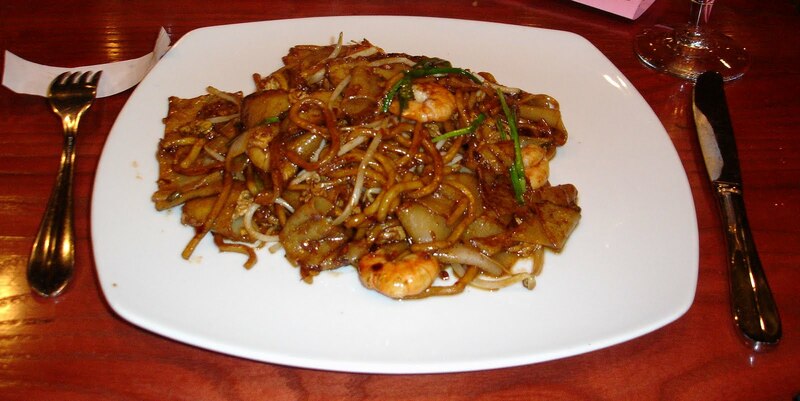 If you want a lighter dish, this would be a pretty good choice. I really enjoyed this one. 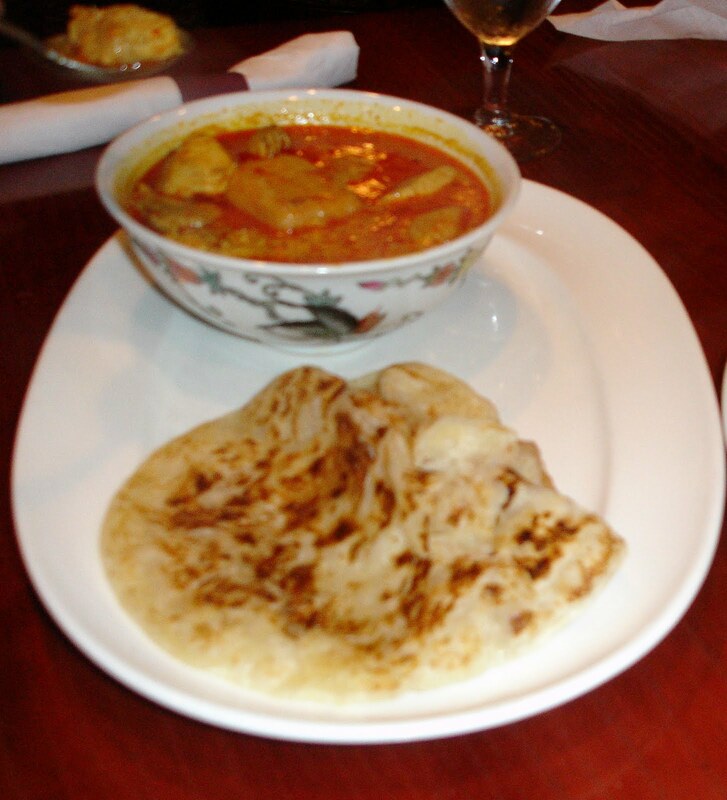 The roti was fried to perfection, and the curry was really tasty. My only complaint is that the chicken is pretty dry, but then again, it’s chicken breast… so I guess that’s to be expected. Other than that, I liked this dish a lot. I recommend ordering some extra roti to go with all the curry sauce that you’ll have. Overall, we had a really nice time here. Price for dinner was a bit high, but we’ve found that CH restaurants are typically more expensive than Durham. Their lunch special pricing looks pretty good, but unfortunately, it’s a bit too far out for us to make it a restaurant to be frequented. If you’re in the area, though, you should definitely check it out. It’s worth it!